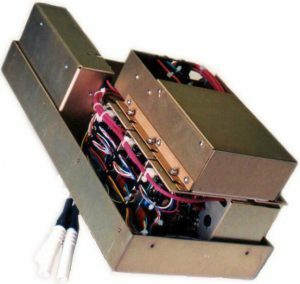 For applications requiring rapidly changing high voltage signals, Hyacinth Technology, Inc. offers DC and AC-coupled high voltage amplifiers. High-voltage amplifiers could be designed for operation with various types of loads including predominantly capacitive impedances. For applications that require high voltage offsets such as in electron beam focusing, a matched, adjustable high voltage converter may integrated in the amplifier package. Bias power converters may be also designed into a modular package.